If I were age 3-6 again, I would put Maclaren Junior Quest Activity Center ($129.99) on the top of my list to Santa. The 4-pc. set has everything the chic, modern mom needs. 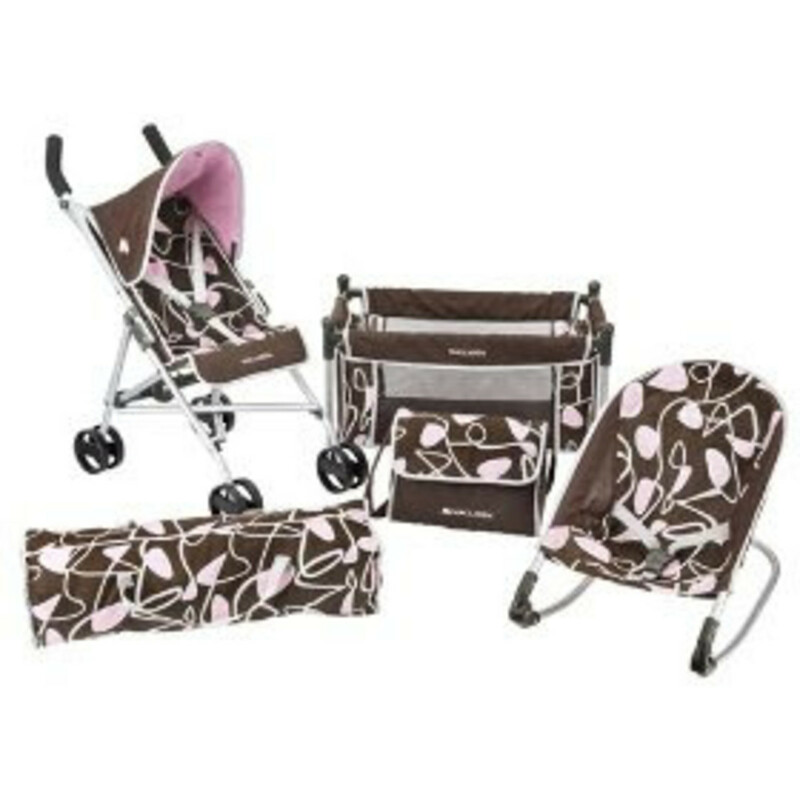 The set includes a swank stroller, rocker, playard and travel bag. The play scenarios are endless. The contemporary brown print will look very chic in your home and imagine all the playdate fun your little kids will have with this set. Buy the Maclaren Junior Quest Activity Center on Amazon.com. Plus, you&apos;ve got to feel for poor Maclaren, they&apos;ve had a rough year with the recall. They&apos;ve been making moms and dads happier and more mobile for years. I wish the brand lots of success in 2010. Maclaren did not pay for this post and the product was tested at Toy Fair.